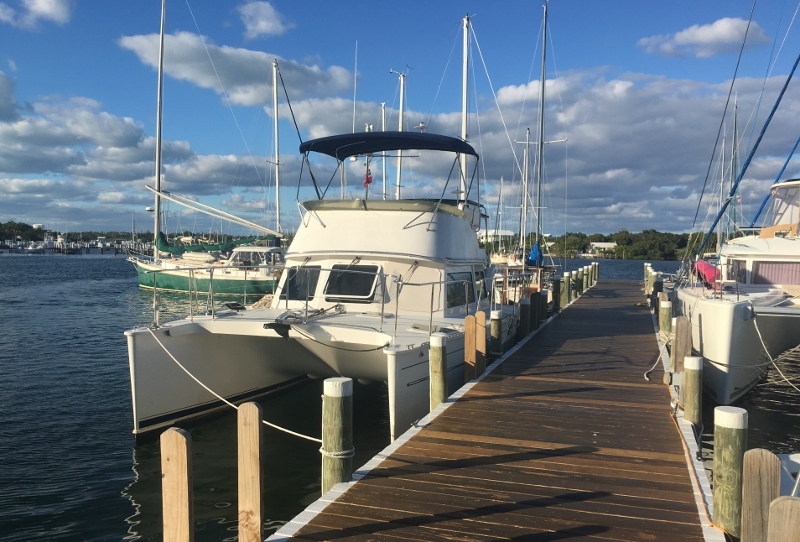 For many cruisers who cross to the Bahamas from Florida and don’t stop to clear customs & immigration at West End (Grand Bahama) or Bimini or even the more eastern Spanish Cay, Green Turtle is the popular place to clear in if headed to the Abacos. 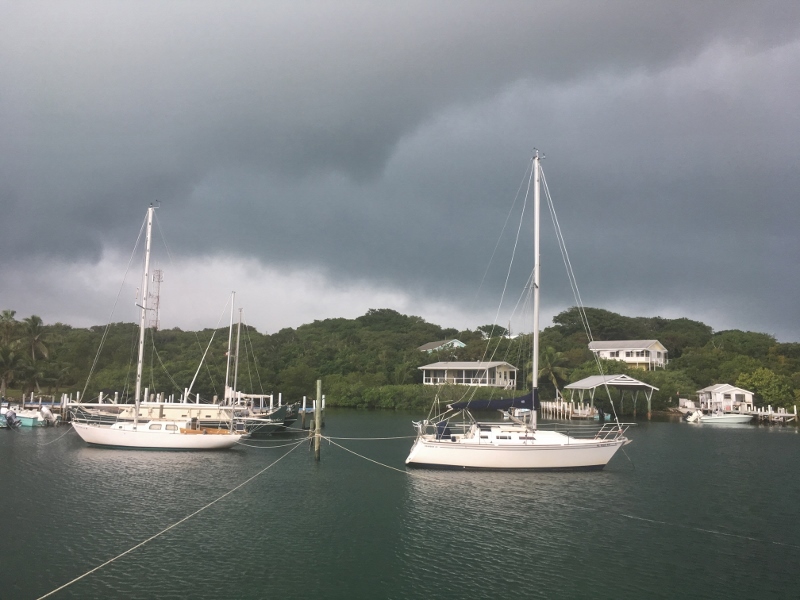 Just a short ferry ride from the mainland (Great Abaco Island), Green Turtle is one of the earliest settlements in Abaco. With pirate, African, and Loyalist roots, and with ties to its sister city Key West, Green Turtle was once the largest settlement in Abaco. A dwindling population of approximately 500 residents doesn’t stop the cay from hosting many celebrations throughout the year. We’ve stopped here many times before on our way into the Abacos or out. Always a welcoming stop, with several well stocked grocery stores, eateries, historic sites and beaches; not to mention the well-known Green Turtle Club and Bluff House. 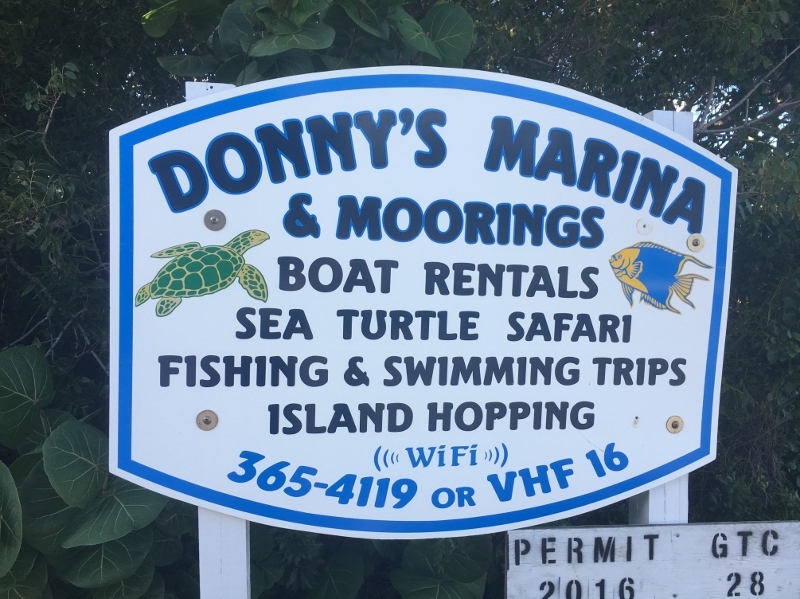 Recent visits have been at Donny’s Marina in Black Sound (yes, as opposed to White Sound), where Donny offers moorings and dockage. We arrived (as is usual for us) ahead of a cold front, because that’s often when conditions are mild. Russ went ashore to the pink rectangular gov’t building to clear customs but the official had left early so, well, it’s the Bahamas mon. Friday, the next day, he tried again. Paperwork complete ahead of time. The customs official was usually stationed at the Treasure Cay airport so not only wasn’t he familiar with boat clearing in, but the building got locked by mistake so those checking in had to sit on the porch, in the wind, papers blowing about. Russ even had to tell the man how much we owed- boy $50 would be a perfect amount- but we paid the $150 for our boat size. The front arrived that afternoon with a vengeance. Feel it, see it, hear it. 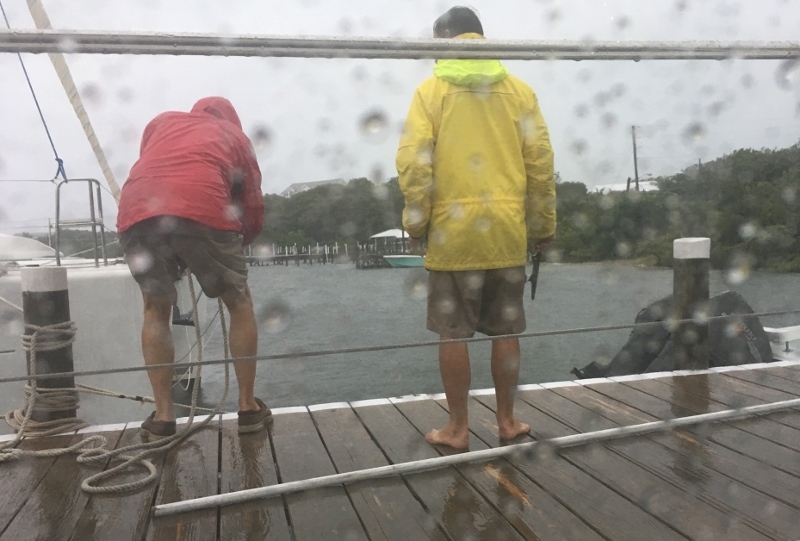 Line to us and one to sailboat rafted to another at the dock, to keep us off the dock a bit. 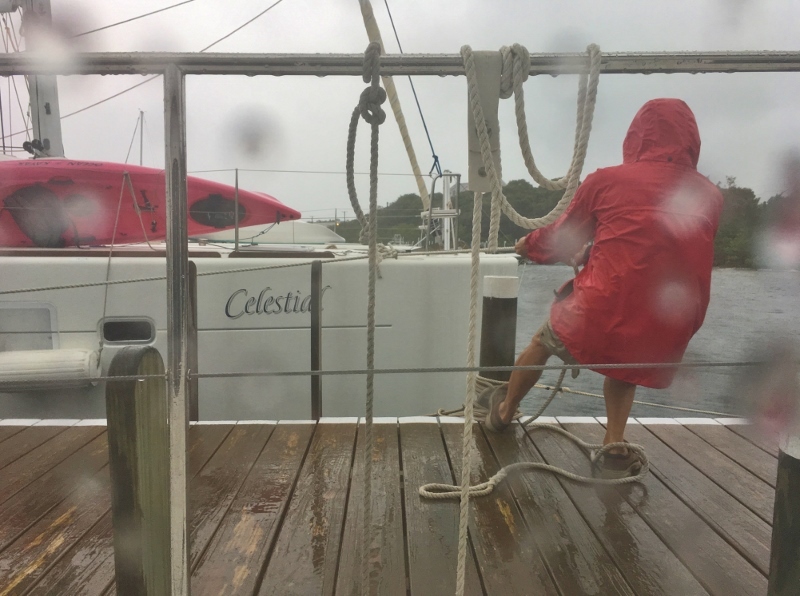 The large sail cat on the dock opposite us had a line tied to a dock cleat- bad idea. I am always happy to be the warm and dry photographer! Wind and rain let up eventually and we walked through town, purchased our annual Bahamian calendar then walked the beach. Pretty blue sky the day after- or maybe two. When we depart it’s on to… well that depends on the weather!